No one wants to fail at something. A company doesn’t set out with a product and hope it fails. A politician doesn’t want to lose. Yet, many fall. The Church, with its critical message of hope, grace, and life, can’t afford to fail. Simplifying so you breakthrough: Churches have a ton going on and so do all the people who are in your community. So simplify everything you can. Do the heavy lifting for your audience and decide what they need to hear. Say it simply, make it memorable. Organize it so it’s easy to understand. Promoting too much: Because of the church’s busy schedule, every time an audience is near, we want to promote something. No one tunes into a TV show to only watch commercials (unless you’re an advertising geek like me). Instead think about educating, entertaining, and engaging your audience. Occasionally promote (about 20% of your communications) — but ensure that everyone knows where the accurate calendar of events is (on your website!). When they arrive at your website, make sure it’s easy to filter events and news intended for them. Reward them for looking. Being too random: Most people like consistency. If you’ve experienced an incredibly enjoyable restaurant, you want it to be the same when you take someone back. Branding is about creating fences to limit the randomness of your church story. In churches, we like to try something and then change it (i.e. sermon series, taglines, service order, guest experiences, and brand elements). Create a solid communication structure, strategy and process so you don’t appear so random. Can you be creative? Absolutely. But if you’re creative all the time, it slowly becomes unexpected, unruly, and a constant drone of randomness. 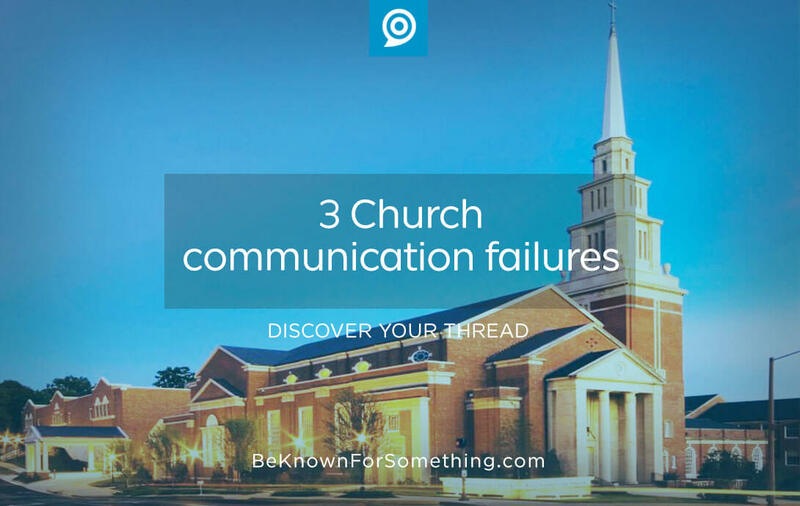 Church communication is difficult. There are many moving parts that shouldn’t feel like they exist because of the church leadership and “the way we do things”. Instead, consider your audience and create ministries for them. 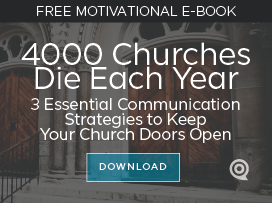 Effective church communication is simply connecting your audience with the things they need (even if they don’t realize it yet).